ATM Anthony Thomas Melillo slub knit T-Shirt. Approx. measurements: 27"L back; 23"L center front. Crew neckline. Short sleeves. Even hem; pullover style. Cotton/polyester; machine wash. Made in Peru. Model's measurements: Height 6'1"/185cm, waist 32"/81cm, typically wears size M.
From the Derek Rose collection. 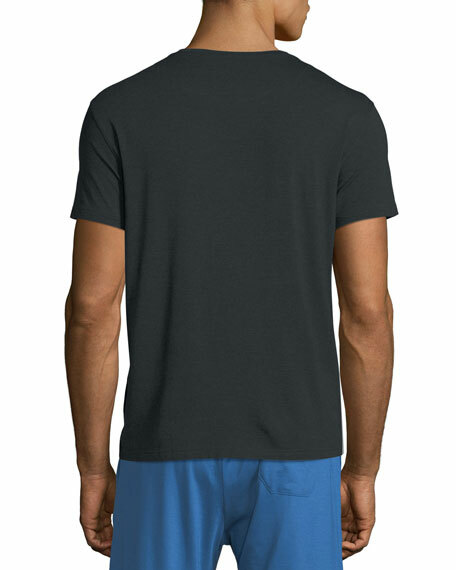 Technical jersey T-shirt. 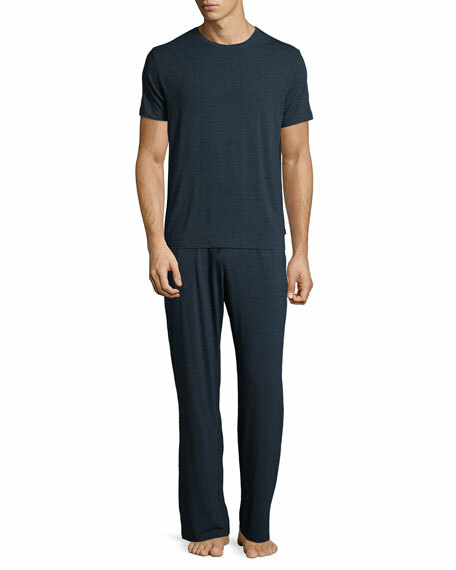 Extra-soft knit fabric retains shape and color after washing. Crew neckline; long sleeves. Straight hem; pullover style. Micromodal/elastane; machine wash. Imported. 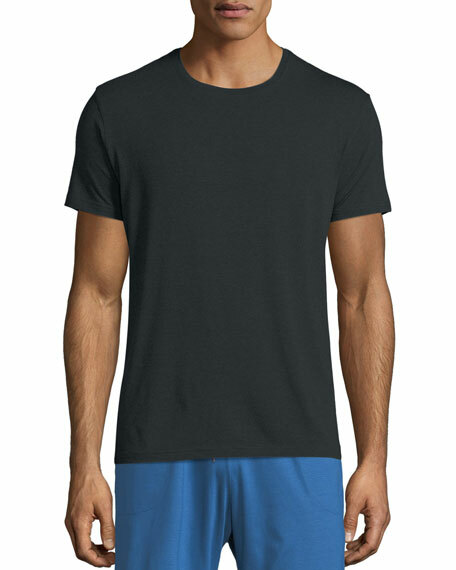 Helmut Lang tee with logo details. "L'Apocalypse Joyeuse ?? 1986" on back; logo on front. Crew neckline. Short sleeves. Relaxed fit. Pullover style. Cotton. Made in Portugal.